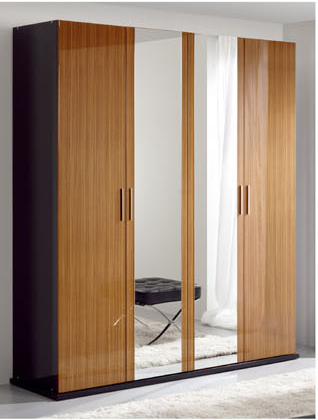 4-Door Wardrobe with 3 inside Drawers, 2-Hanging Rod and 2-Top Shelves. Easy to assemble. Strong Construction. Mica Finish. Dark Cherry Finish Bedroom Set. Each piece can be purchase separately. Each piece can be purchase separately. Easy to assemble. Strong Construction.